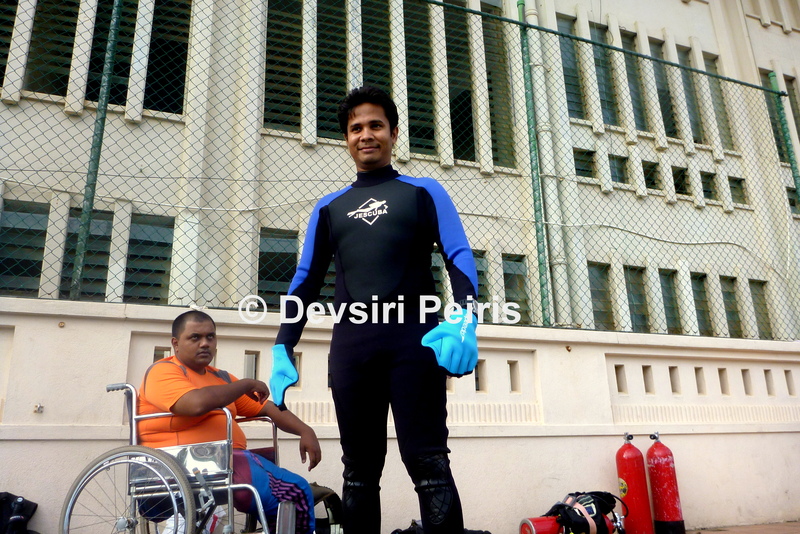 Today was Dan‘s 1st day of training (PADI Open Water diver course). It was a very exciting day for Dan as well for all of us. 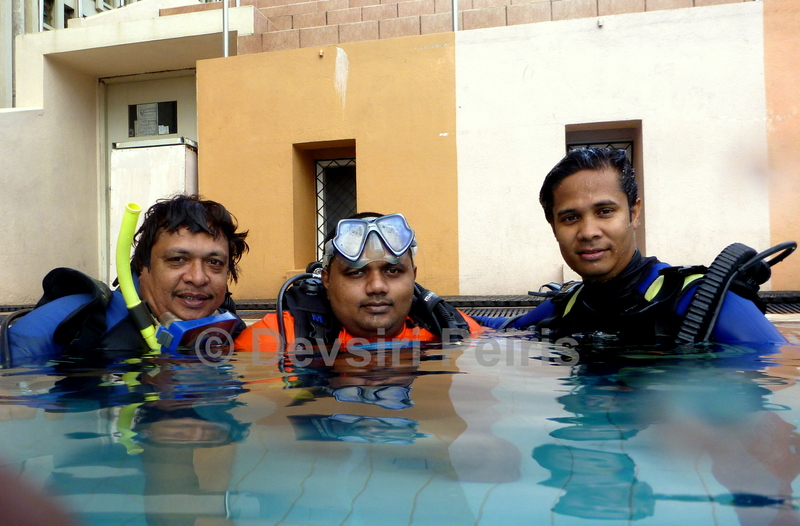 Rohan (DMT from Scuba Safari), Yohan (DM STCSAC) & Devsiri (PADI IDC Staff Instructor) were planning this training for more than a month, & today Dan really impressed us with his ability to adapt & handle the dive skills even though it was his first ever attempt. Trying out the Webbed gloves before asking Dan to try them proved it was no easy task. swimming with your hands alone with the aid of webbed gloves was a great challenge & i am sure over the next few weeks of training Dan will master the use of them well. 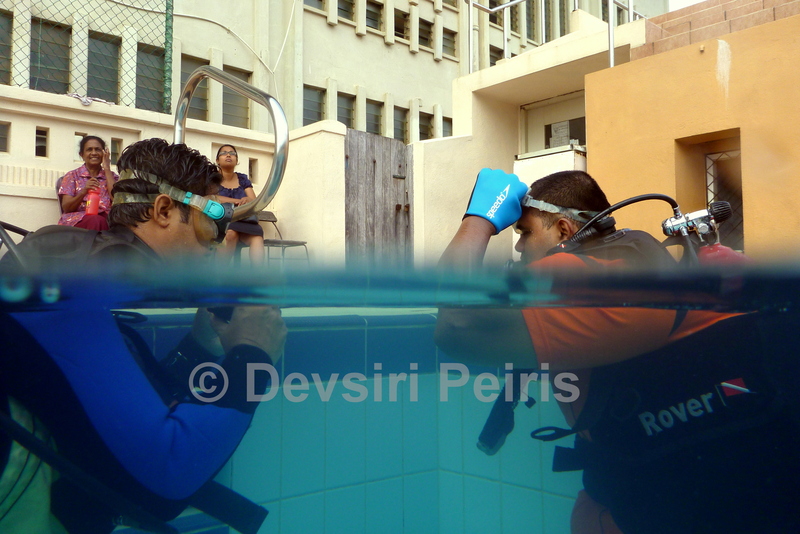 Considering the determination he has, i am sure he can complete the Dive course during November, December & January with the support of Poseidon Diving Station (IDC center) , Scuba Safari (5 Star) & S. Thomas College Scuba Diving Unit (STCSAC). I am sure all you divers remember the 1 st breath you took underwater, I re-live that excitement each time i watch a student take their first breath underwater, and today it was more exciting than usual. Thanks Dan for taking up the challenge, everyone watching you today were greatly encouraged & motivated.